There is an endless list of Nigerian food you can combine with Custard to make a delicious Nigerian breakfast recipe. Sometimes, it is also a side dish to some Nigerian dinner recipes. Custard meal is simple yet very difficult to make. A lot of people often wonder how they can make a custard meal that is free of lumps. 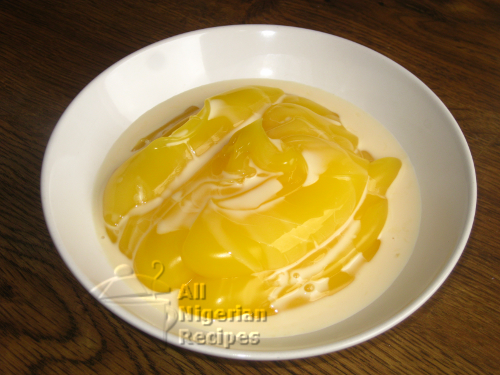 Watery Custard meals or watery Ogi / Akamu is also a big problem for many people. 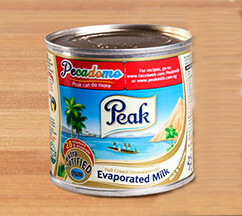 In Nigeria, we usually add evaporated milk to our custard meals so the main requirement is that the custard is thick after preparation so that when the milk is added, a perfect consistency will emerge. But if the custard is watery already, adding milk will result is a complete liquid which is not fit for consumption. Due to the above problems, some people have given up on this necessary breakfast meal. But not to worry, you will get all the tricks of making the perfect Custard right here, including a video.